To be completed by scheme water users to apply for a watering exemption. 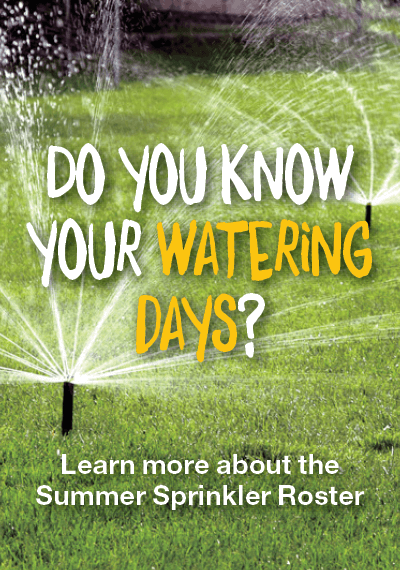 You may apply for an exemption to water outside current water roster restrictions if you have planted a new lawn or garden. Garden beds planted at the same time as laying the lawn may be included in the exemption. Exemptions for new lawns are issued from the date that the new lawn is installed.